Home » Recipes » Gluten Free » Recipe: Green Eggs and Ham – Honoring Dr. Seuss! On March 2nd, 1904, Theodor Seuss Geisel, better known as Dr. Seuss, was born. What better way to celebrate the birthday of one of our favorite children’s authors and humorists, than whipping together a breakfast of green eggs and ham? But this time, hold back the food coloring and use the natural vibrant green of fresh or frozen spinach to create a nutrient-rich version of this all-time favorite. Read 5 yummy breakfast ideas. 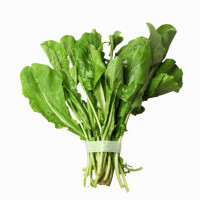 Wash 4 ounces of spinach and wilt it in a pan with a teaspoon of olive oil. Place the wilted spinach and 2-3 eggs in the food processor and blend until smooth. Add salt, pepper and cubed Canadian Bacon (optional) or soy bacon to the egg mixture. Heat another teaspoon of oil in the frying pan and add the egg mixture. Cook, stirring carefully until the egg mixture is set but still moist. Enjoy this bright and nutritious dish with toast. If there are younger kids in the house –read the book together while discussing how it can be fun to try new things. Choose breakfast every day for your brain and body. Read our review on Green Eggs in Ham in our recommended children’s book section of www.superkidsnutrition.com. Comment on Recipe: Green Eggs and Ham – Honoring Dr. Seuss!